In today’s day and age, where it is a rare sight to see an individual without a device, it is not uncommon to witness children being glued to gadgets. 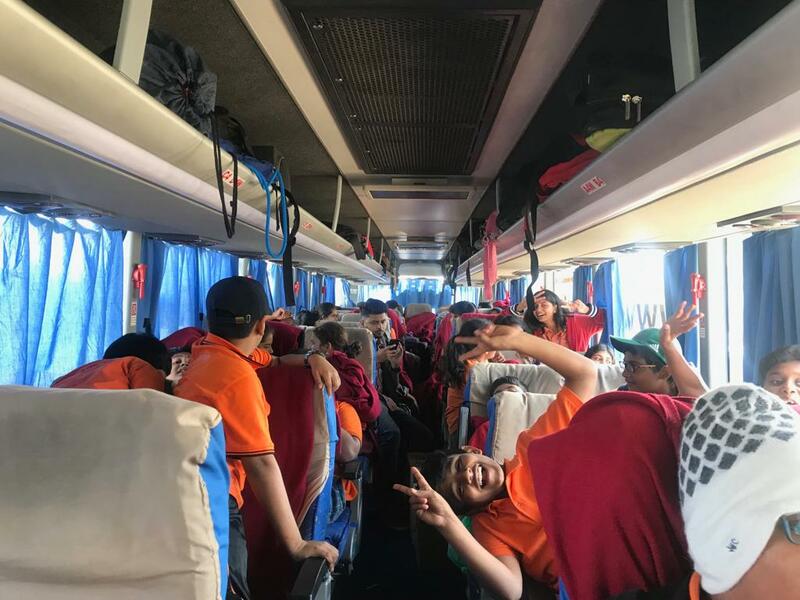 In an attempt to reconnect the future of tomorrow to the many riveting beauties that Earth has to offer, Candor International School decided to send its Middle Schoolers and Grade 9 students on a Nature Escapade. 90 students ranging from the ages of 10 – 15 yrs old, along with 8 teacher chaperones were sent to the Golden Boulder Camp in Telangana. Over the span of 4 days and 3 nights, students stayed in tents at night and experienced multiple activities of a wide range during the day. With slack-lining as an activity few feet off the ground, students also enjoyed rappelling from boulders of upto 90 feet height i.e. as high as a 9 storey building, apart from trekking through rocky hills of upto 950 feet. They also experienced alpine scrambling – a term otherwise used to indicate rock climbing with bare hands. Ziplining, bushcraft and biodiversity sessions were included as well, as part of their getaway. From playing by themselves virtually on devices, to delving into adventure sports as a group in reality, students had come far along by the time they returned to their parents. Having bonded with fellow students beyond their usual friends’ circles, the students now look forward to the next trip, whenever that may be – hopefully, sooner than later.